Montaione, a Medieval Village in the Heart of Tuscany! 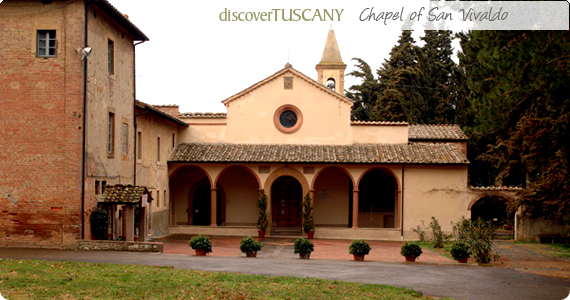 Montaione is a beautiful medieval village immersed in the heart of Tuscany, in the province of Florence. Set on a green hill, the village is surrounded by beautiful vineyards, olive trees and woods, offering an evocative landscape typical of the Tuscan countryside. 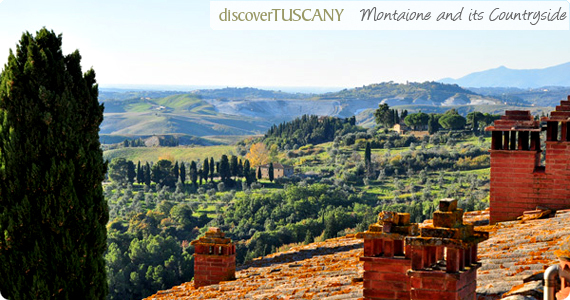 Montaione is the perfect place for your holiday from which to discover Tuscany since it is very close to the most important cities of the region: Florence, Siena, San Gimignano and Volterra. Rich in history, Montaione is also famous for its glass-making, particularly in the production of bottles, flasks and cruets and which dates back to the 13th century. Despite the destruction of the Second World War, the historical center and part of the fortified wall have preserved its ancient structure taking you back in time. Inside the center, visitors will find several important museums and churches including the Pretorian Palace which hosts the Civic Museum and the Church of San Regolo. Thanks to its important agricultural tradition, supported by ideal weather and by an uncontaminated territory, Montaione has offered for many years a very prestigious wine and food tradition. If you are in the area we highly recommend you taste the delicious Tartufo Bianco (white truffles) which can be found in the area and to attend the Food festival dedicated to the Tartufo Bianco and Chestnut set in the historical centre of the town every October. Montaione is very close to the ancient Via Francigena pilgrimage road and to the Holy Mount of San Vivaldo that have always brought a lot of pilgrims to the village. For this reason, Montaione can brag about its great experience in the hospitality and tourism field. If you want to spend a wonderful time immersed in the nature of the territory, you have the chance to choose among six different outdoor itineraries where you can hike, mountain bike or even explore on horseback. There's something to suit everybody's fancy: an itinerary that allows you to spend a lot of time in touch with the nature, another one to discover the old villages, another to discover Iano or Vignale, other gorgeous towns close to Montaione. To get all the information on the itineraries, you’ll need to buy the map dedicated to the Routes at the local newagents or tabacco shops once you’re in Montaione or in the area. Not far from Montaione on the road to Volterra you’ll reach the Holy Mount of San Vivaldo, commonly known as The Jerusalem of Tuscany and an important religious center since the 12th century when it hosted the hermit community of which Vivaldo Stricchi of San Gimignano was a member. Between 1500 and 1516, the pilgrim monk Fra’ Tommaso from Florence had the idea and support to have 25 chapels built in the middle of the woods to reproduce the stops along the Passion of Christ and thus offer pilgrims the opportunity to avoid the dangerous trip to Jerusalem for the sake of obtaining indulgences. Inside each chapel, the history of the Passion of Christ is represented with terracotta statues, very easy to read for the illiterate masses of the time. These chapels and their scenes are a mark of the intense religious faith that has passed the test of time to reach our times today. While you are here, we recommend you explore the beauty of the nearby area at Iano, the Etruscan town of Castelfalfi and Villa Filicaja. Santa Maria Residence is a lovely villa offering self-catering apartments in Montaione, in the Chianti hills, north of San Gimignano. The father-daughters team that runs the residence and maintains the lush gardens will make you feel right at home with their friendly banter and professional care.